Of course you can paint body parts to match your car, but we know it saves you time and money if you can find a replacement part already painted the right color. 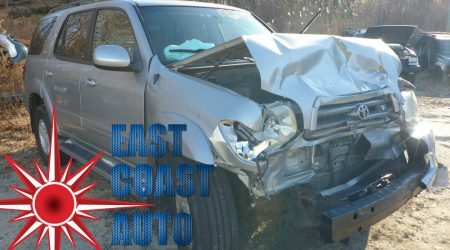 Here at East Coast Auto Salvage we will always make the effort to help our customers get the right part they need and will provide paint and interior trim codes whenever possible. 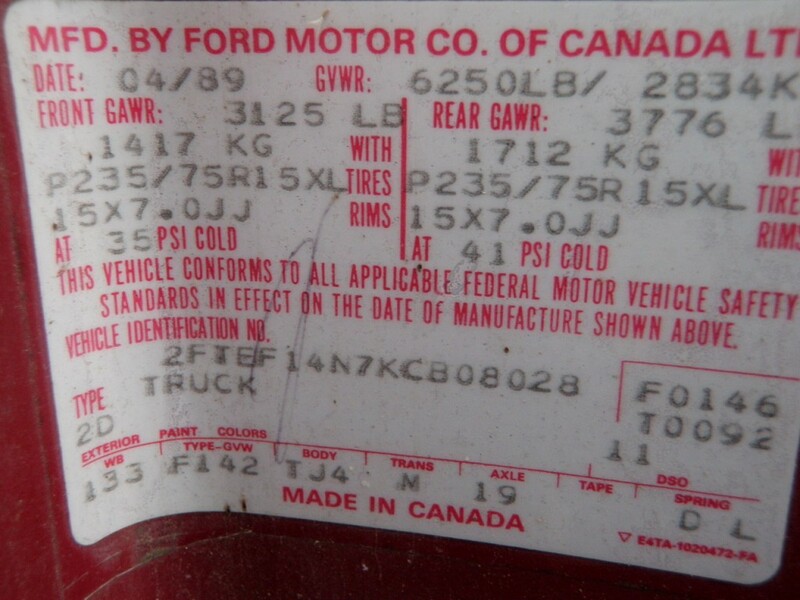 This is a general guide of where to locate the paint and trim codes for your Ford. We do not have a list of the coinciding names for the colors – but if you are at least able to match the numbers when purchasing a part you will take the guess work out of trying to match colors. 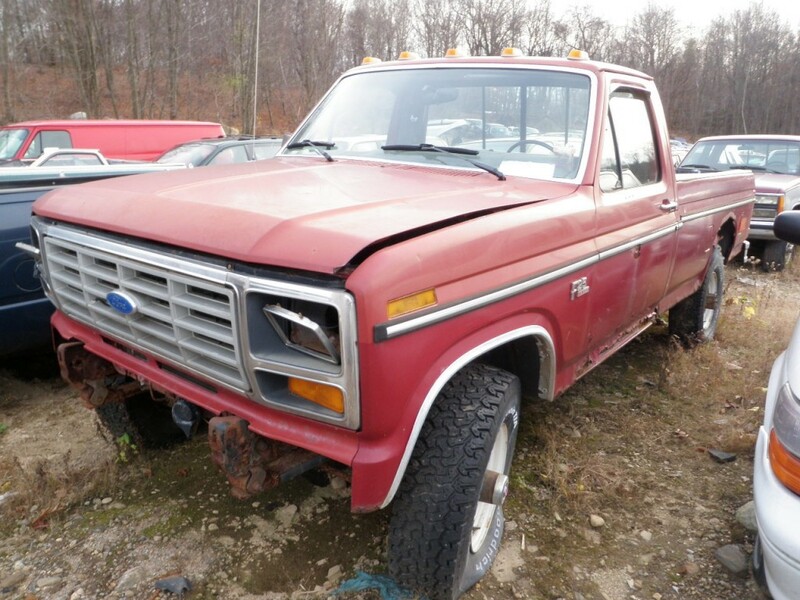 Below I have listed a few examples of Ford cars and trucks we have in inventory. The location of the paint/trim sticker is almost always in the exact same area. 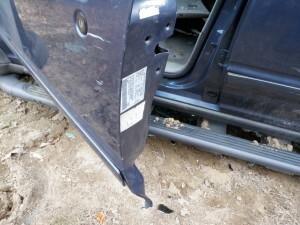 It can be found on the driver’s door jamb either on the “B” pillar or on the edge of the door. 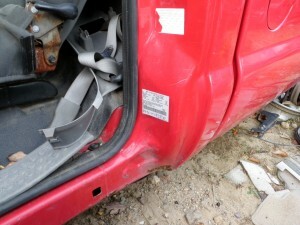 With the door open the sticker will be in plain sight, you should not need to remove any trim pieces. If you do not see a sticker here, there is a slight chance it will be found under the hood, but more often than not it means your sticker has either been removed or your vehicle has been re-painted. You can always call up a Ford dealer and give them your VIN, they should be able to tell you your factory paint color code. Let’s look at a few examples, shall we? This is a ’99 Ford Mustang we have here in our yard. 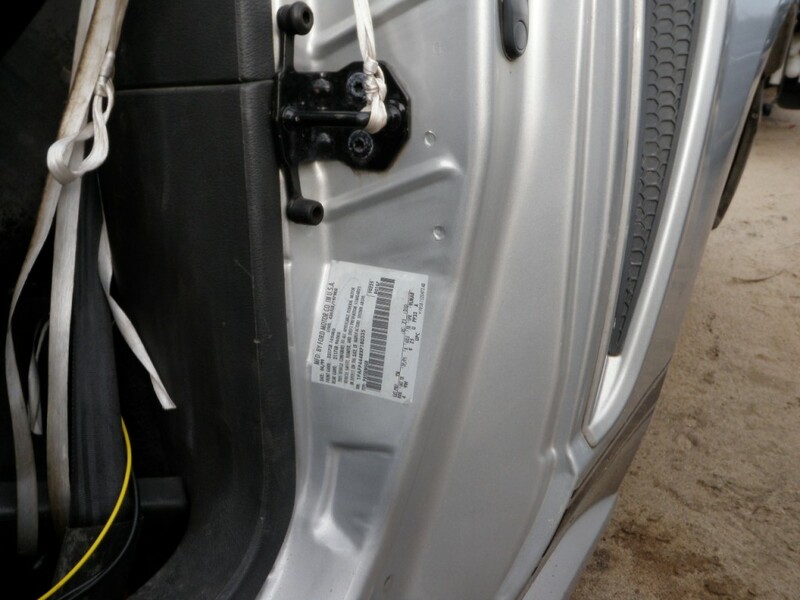 If you open the driver’s door and look just below the striker pin (that’s the part attached to the body that the door latches to when closed) you will see a sticker with a bar code. If you look in the bottom left corner of the sticker you will find both the exterior paint code and the interior trim code. The code(s) will almost always be right here, although sometimes the sticker will look slightly different (but it’s down here somewhere). I’ll show some examples of different stickers further on in this post. I have outlined the paint code in green, and the trim code in red to make it easier to see. (They are not circled like this on the sticker in real life.) 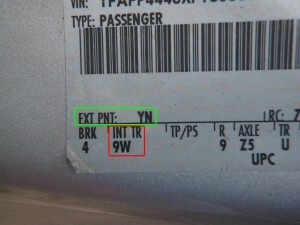 In this case the paint code would be YN and the trim code is 9W. The sticker in this ’03 F-350 is in virtually the same exact spot as on the Mustang we saw earlier. This sticker is almost identical to the sticker from the Mustang as well. 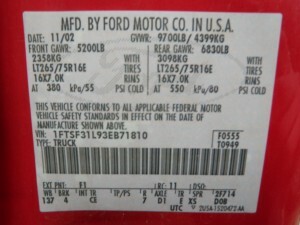 It is slightly different because this is a truck so the sticker includes info about the wheelbase and the axles etc. 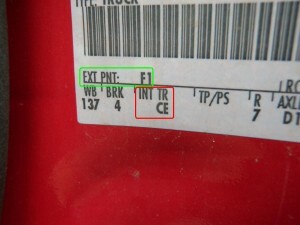 Once again I have outlined the paint code in green, and the trim code in red. The paint code here is F1 and the trim is CE. The trim code is slightly further to the right than the Mustang, but not enough to make it hard to find. Basically it’s the same. 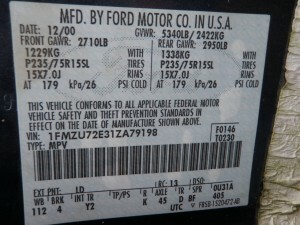 On this ’01 Explorer, the sticker is found in the same area of the truck, but in a slightly different spot. It’s on the edge of the driver’s door. (just think though, when the door is closed, the sticker is right where the others we found are) Either way, the door still needs to be open for the sticker to be visible. Slightly different location on the truck, but still the same sticker. Pretty simple, right? It’s not all that hard to find the stickers once you know where to look. 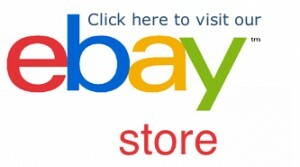 Here are some different types of stickers you can come across when looking for a paint code. Don’t be fooled, even though they look slightly different they’ll be right where you need to find them, and the info is where you’d expect to find it. 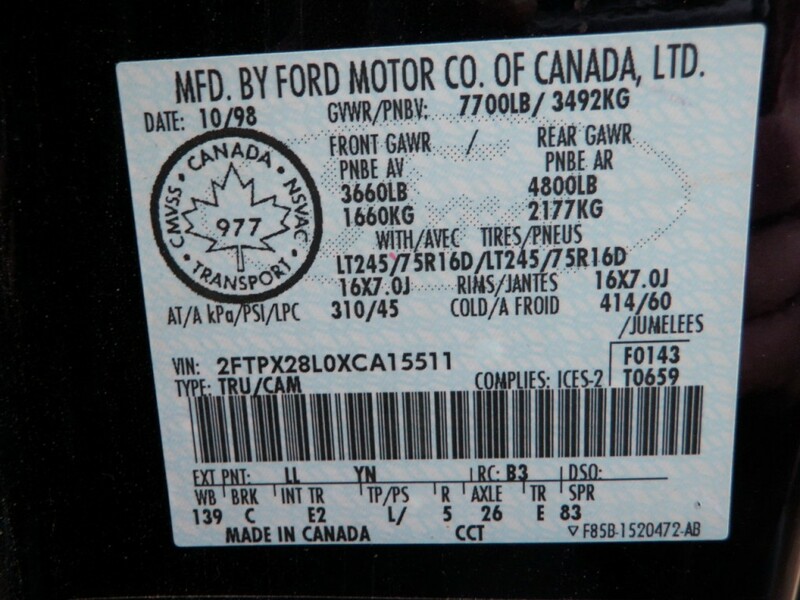 Another Canadian Ford with another slightly different looking sticker. 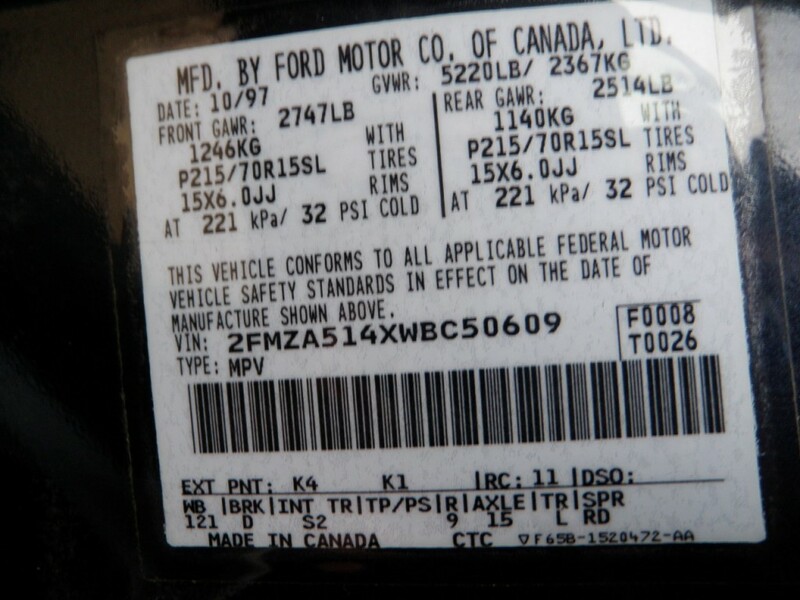 Just because you don’t live in Canada doesn’t mean your Ford wasn’t built there. You’d be suprised how many of these are in the US. Think this rusty old beast is too old to have the same type of sticker? Nope! Still has one way back then. It’s even in the same spot too! The only main difference that could potentially be a bit confusing on these older tags is that the code is stamped above the word exterior paint rather than next to it like on the newer ones. This truck has a paint code of 51. Well, that about wraps it up! 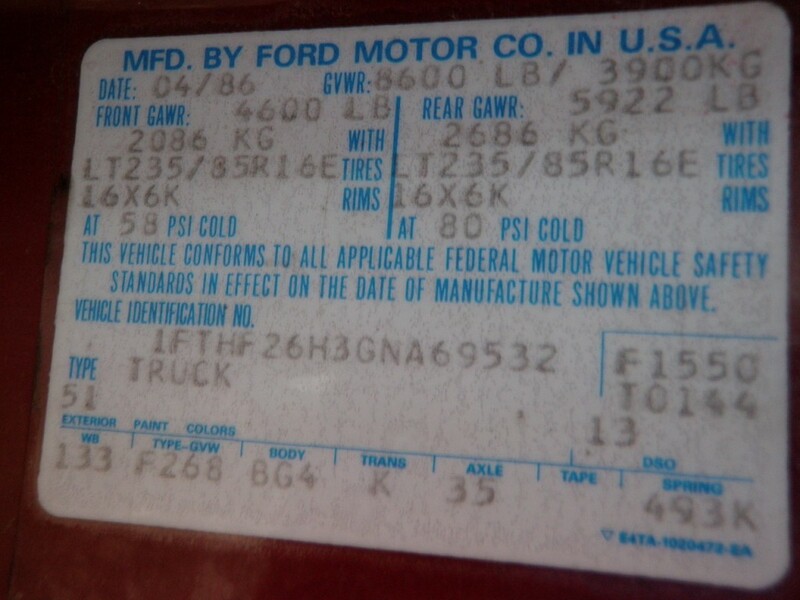 I hope that this guide has been helpful in helping you find the paint and or trim code on your Ford vehicle. Thank you for reading, and remember if you have any used auto part needs call us up at 1-800-231-9121. Have a great day! 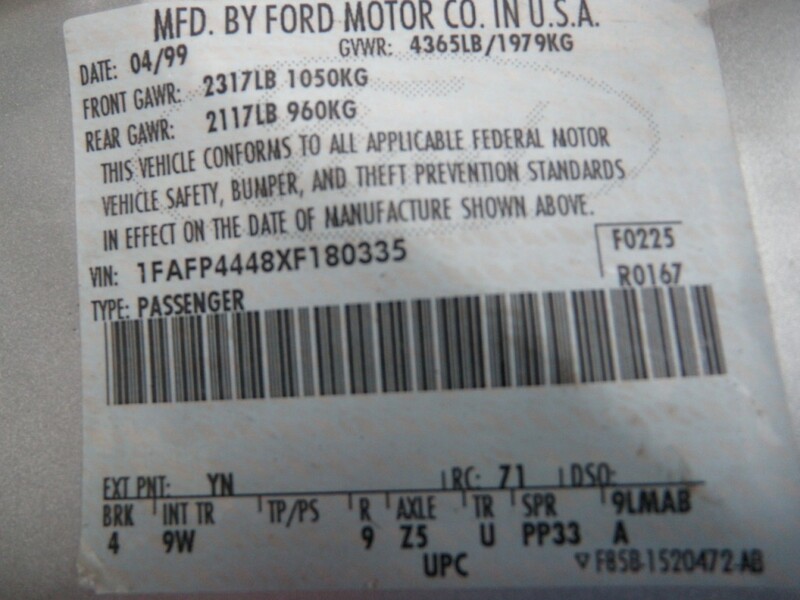 Thank you for the great info, i am looking for front end body parts for a ford explorer 2014 , i am in need of interior and exterior trim for door.. where do i locate exterior body trim color codes for ford?